Now that you have installed IntenseDebate it’s time to deck your comments out with some options that are sure to breath some life into your comments. 1. Facebook Connect: give your readers the option to comment using their Facebook account and share their comments with their friends. Check out our Facebook Connect documentation. 2. Twitter Sign-in: it’s a piece of cake to activate, just select the checkbox next to Twitter Sign-in and you’re all set to give your readers the option to use their Twitter accounts to comment. Check out our Twitter documentation. 3. 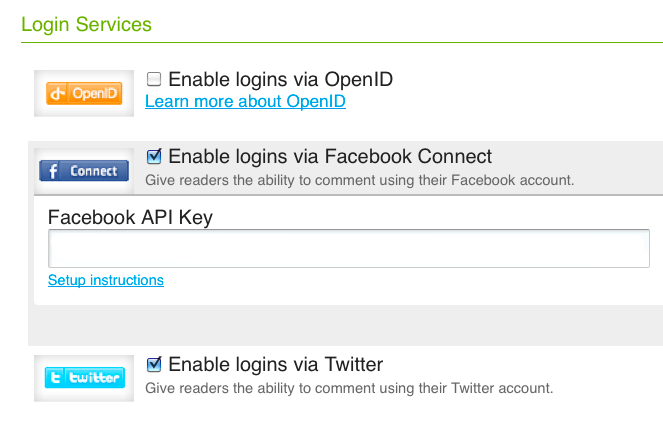 OpenID: we’re aware of an issue with our OpenID integration and we’re working to correct it. This is a fantastic way to give your readers a way to help you keep the comment section in order. 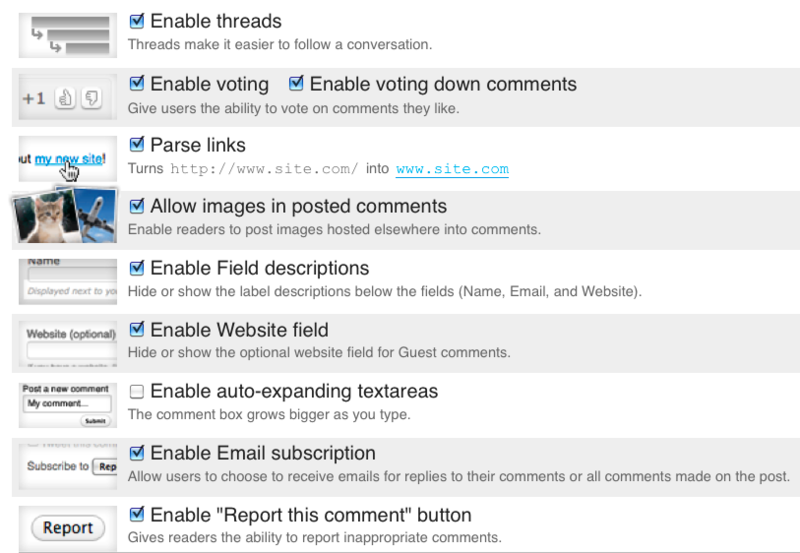 Check out our documentation on Comment Reporting for more information.